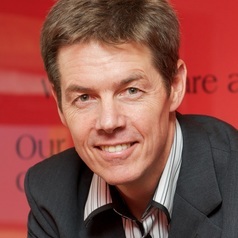 Dr David A. Clark is the Deputy CEO of the Aurum Institute, which is affiliated to the University of the Witwatersrand. As an executive director and board member of the Aurum Institute, Dave is strongly involved in the health programmes, business services and strategic management of the company. Dr. Clark qualified in medicine at Wits University in Johannesburg. He also holds a Masters degree in Business Administration and a Bachelor of Commerce Degree, as well as a Diploma in Health Services Management. He was the Operations Executive for the hospitals and health services of the gold subsidiary of the Anglo American group up until 2004 before moving to Aurum. Dave is also a non-executive director of a number of other health NGOs in South Africa.